David Clampitt taught music theory at Yale from 1997-2008, after receiving his Ph.D. in music theory at SUNY Buffalo. He is a leading researcher in the field of mathematical music theory, working especially on the structure of basic musical materials. 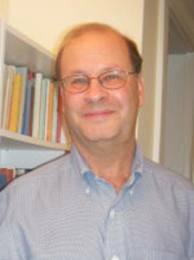 Together with co-author Norman Carey, he received a Society for Music Theory publication award in 1999 for their article, “Regions: A Theory of Tonal Spaces in Early Medieval Treatises." He has published in Music Theory Spectrum, Journal of Music Theory, Perspectives of New Music, Integral, Music Theory Online, Gestalt Theory, Muzica, and elsewhere. Professor Clampitt also does analytical work on the music of Brahms and his contemporaries. A chapter on Webern appears in Intimate Voices: The Twentieth-Century String Quartet, Evan Jones, ed., University of Rochester Press, a book which won a Special Citation publication award from the Society for Music Theory in 2011. He has contributed chapters to four other books, including three volumes published by Springer devoted to proceedings of the Society for Mathematics and Computation in Music. Clampitt was editor of Journal of Music Theory and was guest editor for the second issue of Journal of Mathematics and Music. He is an active violinist in chamber and orchestral music, and has coached chamber music extensively.